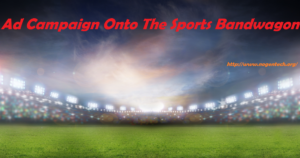 Home/SEO/Google Adwords/Should you hitch your advertising campaigns with the recent sporting events? For any of you who is not a sports fan, this summer is probably not going to shape up to be the best one of your life. With the Euro Cup 2016, the Olympics and Wimbledon, you barely get time to remember anything. But irrespective of whether you love sports or you hate it, you can’t deny the fact that events as these play a huge role in bringing together an international scale which can be rarely found anywhere else. You just have to open Google and notice the vast surge in traffic around all such sports events and it is only then that you can understand how it connects people. Almost all advertisers will love to seek advantage of such heavy spikes in public interest but the question is whether it is appropriate for everyone. Expanding the competitor bidding and bidding even more aggressively on the terms of the competitor throughout the duration of the tournament. Updating and changing an ad copy regularly to reflect the latest odds and fixtures. Something that is great to see is the first time deposits which also keep increasing around the games. Even better is that the proportion of conversions coming from the non-branded terms was considerably higher during such games. This clearly showed that the increased investment in competitors and generics had paid off. There were few clients who decided to get a piece of action in spite of their products and their relevance to the contemporary sports events. The thinking was that with the buzz and traffic out there, it makes sense to tap into whatever you can. The telecommunications company which specialized in SMS marketing wanted to target pubs and bars showing Euro 2016 matches. The ultimate aim was to sign up for SMS marketing service so that the companies could alert customers about matches. Therefore, it is best for advertisers to hitch campaigns onto the bandwagon of sporting events in order to catch hold of larger audience.